The Samsung SCH-W880 M9820 has been announced in Korea, becoming the world’s first phone to have a 12MP camera with a 3x optical zoom. It also features image stabilization, touch auto focus, face detection, Xenon flash and 720p video recording at 30fps. Other known features of the phone include a 3.3 inch AMOLED WVGA touchscreen display and 4GB of internal memory. 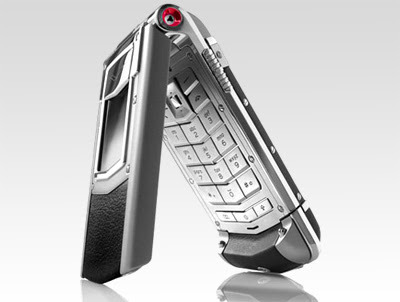 Ultra-expensive mobile phone manufacturer Vertu is back with its latest credit crunch-defying handset - Ayxta. Designed to attract 'discerning global citizens searching for a high quality product to assist in maintaining their standard of living wherever they may be throughout the world', Ayxta offers one-button access to a Vertu butler-esque telephone service through which the owner’s every whim will be catered for – day or night. Vertu phones are all about the styling, though, so Ayxta has a stainless steel body, aluminium and leather detailing, and a sapphire crystal screen. 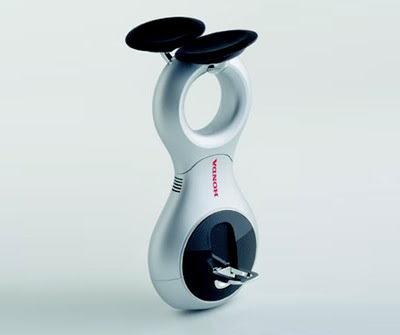 Honda has created a high-tech unicycle, which the firm’s claimed boasts the world’s first drive system with 360° movement. The U3-X, described by Honda as an experimental personal mobility service, apparently fits comfortably between the rider’s legs to provide 360° motorised movement. To adjust the U3-X’s speed or direction, all the user has to do is shift their upper bodyweight. A collection of small-diameter motorised wheels connected in-line to form a single large-diameter wheel allow the U3-X to make 360° movements. The small wheels control side-to-side movements, while the large wheel controls forward and back motions. A combination of both allows the U3-X to move diagonally. When atop the 315 x 160 x 650mm U3-X, the rider is apparently at 'roughly' the same eye level as pedestrians. The seat, footrests and body cover all fold away into the device’s 10kg body. The U3-X is powered by a lithium-ion battery, which is good for 60 minutes worth of travel. 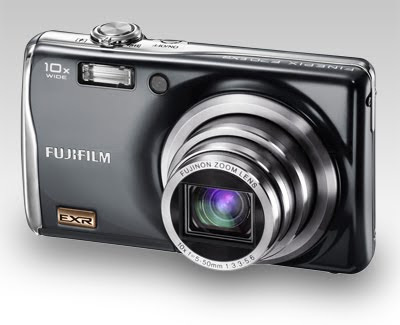 Fujifilm has introduced the FinePix F70EXR featuring a new half-inch 10 megapixel Super CCD EXR sensor. It has a 10x image-stabilized (27 - 270mm 35mm equiv.) zoom and a 2.7 inch LCD screen. The EXR technology uses the sensor in three different ways to optimize resolution, dynamic range or low-light performance. The camera features a new Pro-Focus and a Pro-Low light mode which use multiple exposures in an attempt to mimic DSLR depth-of-field and low light performance. Brett's 2p'orth: Weighing 180g, and measuring just 99 x 59 x 23mm, this is the lightest, slimmest 10x zoom compact on the market. Digital Photography Review have recently published a gallery of images taken with the camera, and the quality is impressive. 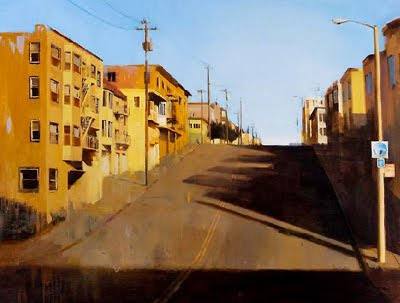 Kim Cogan's oil paintings of cities and people are inspired by the works of artists including Edward Hopper and Richard Diebenkorn, fusing abstract and representational styles with broad brush strokes and a simplified colour palette. I blogged on this movie in 2006. It has recently been re-released in Blu-ray format. 26 minutes longer than the original, the Blu-ray version has been completely remastered and re-rendered in 1080p, using an AVC, 20Mbps codec. 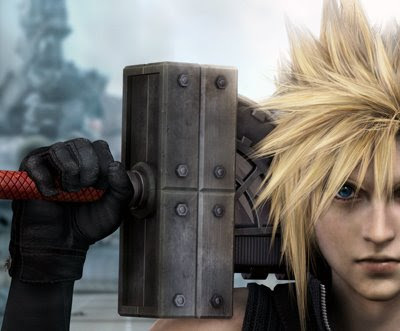 Detail is stunning, especially in dark areas and the characters' hair (one of the Square Enix team's specialities) is exquisite. The sound quality is equally excellent, with detailed (but not intrusive) separation, clear vocals and subtle surround-sound effects. The range of sounds is very wide, with the high-end occasionally causing 'popping' sounds from my non-DTS approved tweeters. If you've never seen this before, enjoy the anime genre, and have a decent AV system, this is worth buying. If you enjoyed this on DVD and possess a decent AV system, it's worth renting. 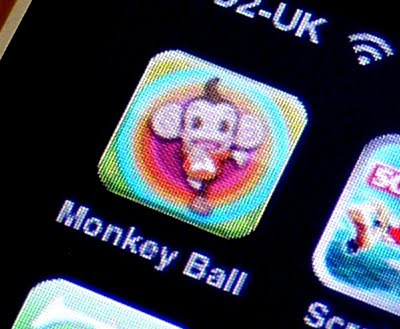 One of the first games ported to the iPhone, Super Monkey Ball (SMB) is derived from Sega's identically titled release for the Nintendo’s GameCube console. SMB features monkeys inside transparent balls that race on suspended tracks. You tilt the iPhone to make your monkey move. The more you tilt, the faster the ball rolls. The levels move from easy to *$! *@ impossible, with five different worlds to explore. Graphics are smooth, and the sounds are cute and surprisingly unirritating. One annoyance is that although you can pause a game, if you move to another program, you go back to where you've started. If you have an iPhone (or an iPod Touch) this is £2.39 (while the 'sale' lasts) extremely well-spent. 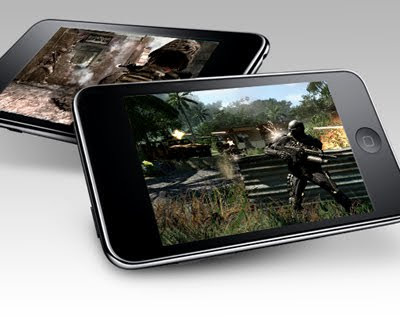 AMD/OTOY bringing high-end gaming to the iPhone? AMD unveiled its next-generation GPU architecture at an event today aboard the USS Hornet. 2.5 teraFLOPS of floating-point power, or well over twice the company's current high-end cards. While AMD gave a number of very impressive demos of their next-generation DirectX 11 part OTOY's demo of Crysis running on an iPhone was probably the most intriguing use of AMD's upcoming GPU that I saw all evening. OTOY claims to be able to deliver 3D games in real-time over the Internet, so that you can play, say, Crysis by using a remote render farm as a kind of terminal server that pushes out frames to a thin client that just does display and user input. 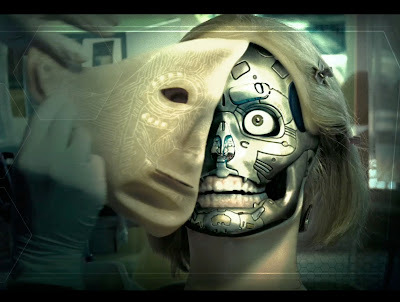 First, the game is rendered on the server machine, where frames from it are grabbed by the OTOY server-side software. Next, these frames are compressed and sent out over the network to the client, which decompresses them using a very small chunk of code (about 780K, hence the iPhone demo) and displays them in a window. User input is sent back to the server over UDP because it's tolerant of packet loss, so you don't add to latency by resending dropped packets. The demos of Bioshock, Grand Theft Auto, and World of Warcraft were surprisingly responsive, despite the fact that the games were being served up by machines in Los Angeles. There was some discernible lag, but not much worse than what I was comfortable with in my Quake deathmatch days. The iPhone's screen was small enough that I couldn't discern any compression artifacts, and the gameplay was smooth and responsive. Aside from the half-baked control scheme, which was apparently hacked together at the last minute, this really was Crysis running on an iPhone. 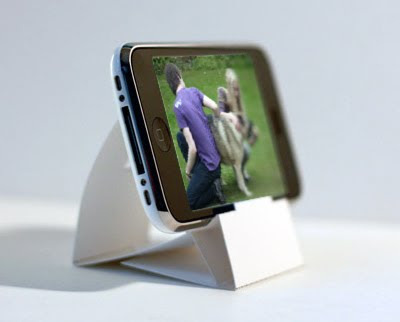 dessinemoiunobjet.com has designed a 'cut-and-fold' template to construct a stand for your iPhone or iPod touch. More pictures, a downloadable PDF and instructional video (which, ironically, won't play on an iPhone) are all available on the site. 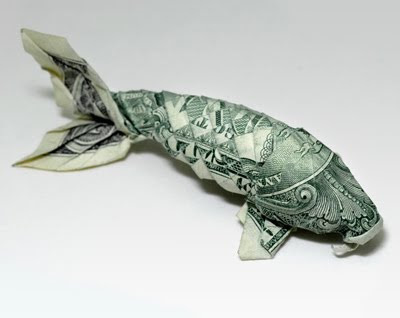 Brett's 2p'orth: I found the original model a too narrow, and the 'lip' a little shallow. My modified version can be downloaded here. 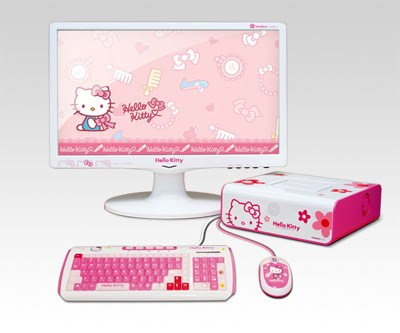 Japan has its good share of Hello Kitty-branded computers. So it’s only fair that it’s not Japan but Korea that gets a special version of the MiNEW A10, most probably the cutest Hello Kitty computer out there. It’s made by Korean PC maker Moneual. The hardware isn’t that spectacular spec-wise (Atom CPU, 1GB RAM, 160GB HDD), but that’s not really what you’re looking for when you buy this computer, is it? Bernard Sumner (Joy Division, New Order, Electronic...) has formed a new band, Bad Lieutenant. 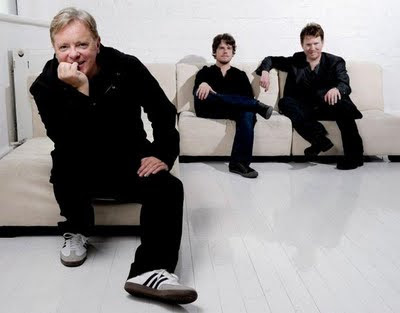 He is accompanied by New Order bandmates Stephen Morris and Phil Cunningham, as well as Blur's Alex James. The group are giving away the jangly first single 'Sink Or Swim' at Snob Music. 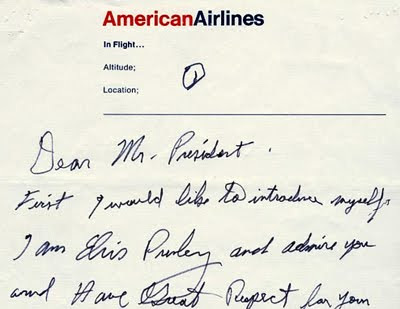 "an attempt to gather and sort fascinating letters, postcards, telegrams, faxes, and even emails. Scans/photos where possible. Fakes will be sneered at. Updated weekdays." 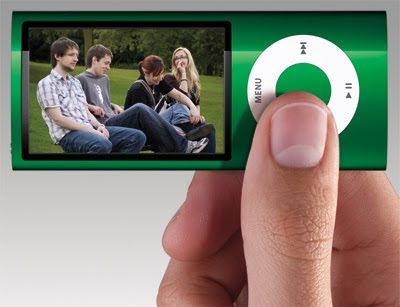 Cult of Mac have published an extensive and overwhelmingly positive review (with plenty of images and example videos) of Apple's latest iPod Nano. "It can record video, play movies, store weeks’ worth of music, wake you in the morning, remind you of a dental appointment, record how many steps you walked to work, and how long it took you. It remembers all your contacts, records voice memos, stores your shopping lists and plays a bunch of games that are controlled by tipping and tilting the beautiful little device." "The nano is a slick piece of hardware. The colored aluminum shell is bright and shiny. It’s extremely well made. There are no gaps or seams or flimsy tabs that might fall off. It feels solid and expensive, but also very small and light." "Video recording is the blockbuster new feature. 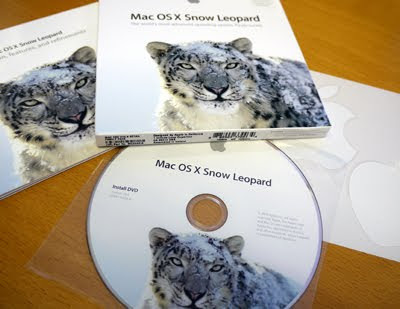 The video is bright, sharp and detailed, even if it is only VGA (640 x 480). The camera transitions well between sunlight and indoors, and the microphone picks up sound well." "The effects are fun. In the past I’ve found effects gimmicky, but here they make perfect sense." "Video playback is fantastic. The nano’s screen is really sharp and detailed. So much so, it’s almost hallucinatory. I watched a couple of videos, and they looked trippy sharp. Maybe it’s the small screen." "Watching a movie or TV show on this device is no problem. Holding an iPhone to watch a movie can be tiring on your arms, but the nano is so small and light, I didn’t have a problem." "The built-in FM radio is slick, and a welcome addition. Live Pause allows you to stop the audio for up to 15 minutes and pick up later where you left off. And Song Tagging lets you tag songs, which are added to a list in iTunes when you sync." "Music on the nano works great. I really enjoy Cover Flow, which I hate on the computer. Tilt the nano sideways, and it displays thumbnails of all the songs or albums, which are easily browsed by turning the scroll wheel." "The bad: Almost too small and light for clumsy middle-aged fingers. No still pictures. The tinny little speaker is so weak, it’ll waken only the lightest sleepers." Brett's 2p'orth: How long can it be before Apple adds a SIM card to this? 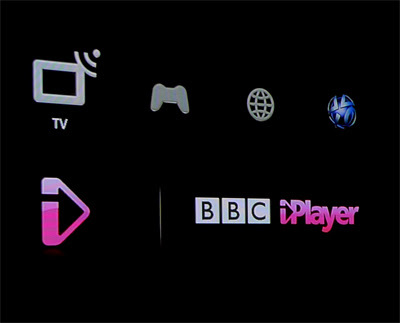 The latest software upgrade to the Sony Playstation 3 has added BBC's iPlayer to its list of options. It all works smoothly and while the picture and sound quality is significantly poorer than its Freeview equivalent, it does mean that you can watch the latest episode of Shooting Stars or Top Gear just about any time you like, from your sofa rather than your home-office chair. FBI agents (Bruce Willis and Radha Mitchell) investigate the mysterious murder of a college student linked to the man who helped create a high-tech surrogate phenomenon that allows people to purchase unflawed robotic versions of themselves - fit, good looking remotely-controlled machines that assume their life roles - enabling people to experience life vicariously from the comfort and safety of their own homes. Toa Fraser's adaption of Edward John Moreton Drax Plunkett's 'My Talks With Dean Spanley' is one of those movies that is both whimsical and profound. Set in post-Boer War England, it blends the mundane and the mystical to produce a heart-warming and thought-provoking movie. Peter O'Toole is superb as Fisk Senior, a self-contained, arrogant old man. 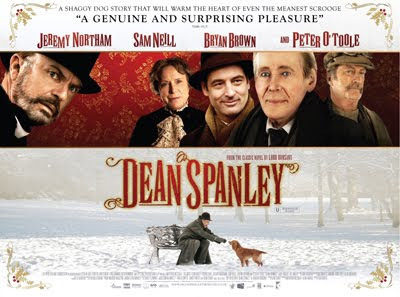 Sam Neill portrays the eccentric Rev Spanley with rare conviction and dignity as a man who reverts to his former life as a dog after a couple of glasses of his favourite tipple. Jeremy Northam, who plays Fisk Senior's long-suffering son, is an excellent everyman, aware of his father's failings but determined to remain in contact with him. The pace of the film borders on ponderous, relying on the superb acting of its cast to drag you from scene to scene. I find the concept of reincarnation baffling and repugnant, and yet still found the film intriguing and illuminating. If you can contemplate a film bereft of naked bodies, guns, car-chases and profanity, this is definitely one I would recommend. Not a lot of people know this but (NALOPKTB™)... Plunkett's 'The King of Elfland's Daughter' inspired the film Stardust. If you want an 'old-school' hand-lettered look as used on film credits for 1950s films, Sinzano allows you to do it without a lot of work. It has over 400 OpenType interlocks which intelligently' replace the letter combinations you type. It works very well, and at just $8.95 from My Fonts it won't bankrupt you either. When Laurie Jesch-Kulseth gets a craving for fennel while at the supermarket with her two young kids, she doesn't just grab a batch of the tasty herb and head for the register. She whips out her iPhone, searches the Web for a good recipe incorporating fennel, fetches the extra ingredients and has a family dinner on the table within hours. Women now account for nearly 40 percent of iPhone users, according to the ComScore market research firm. For iPhone moms, an Internet-connected handset with a wide variety of downloadable applications acts as a weather watcher, a price researcher, an address locator, a schedule reminder, an isolation destroyer, an e-book reader and much more. Jesch-Kulseth and her husband, Radd Kulseth, recently popped for his-and-hers handsets. While Kulseth, an attorney, largely uses his iPhone for work, his wife uses hers to keep a handle on the home front. She never wonders which fruits and vegetables are in season, for instance, because her Locavore application tells her. It even links her to Epicurious, a Web-based recipe database, for tips on how to use those fruits and veggies. Jesch-Kulseth keeps shopping lists in her note-taking app. 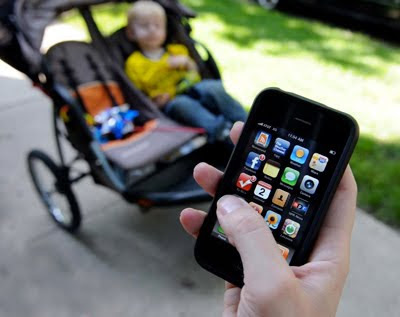 She uses a nutrition app to calculate how many calories she burns on walks with her 10-month-old daughter. When her 3-year-old son gets antsy, she lets him use a light saber app. While at a park near her home, she uses a National Public Radio app for a bit of audio enlightenment and cruises news sites for the latest headlines. A Facebook app keeps her in touch with friends and family. I was going to wait until this came out on DVD, but my two sons encouraged me to go with them to see it at the cinema. And I'm very glad I did. 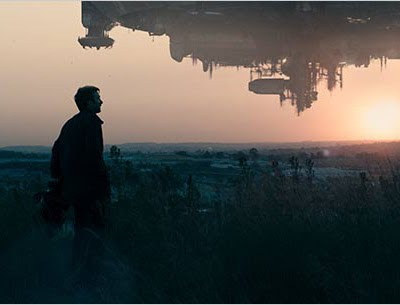 Just in case you've managed to avoid the blanket viral advertising campaign, District 9 is based in an alternative 'now' where twenty years ago an enormous alien spaceship came to a halt above the city of Johannesburg. The million-or-so almost-dead crew (nicknamed 'Prawns' because of their crustacean-like bodies) are 're-housed' in a slum in the city below. The film starts with a documentary-style introduction, moving seamlessly into a more conventional 'Alien 2'-style action film. To explain the film is to spoil it. What I can say is that despite plot-holes the size of an alien spaceship, it managed to intrigue, shock and entertain Zak, Brook and myself throughout its 2-hour running time. 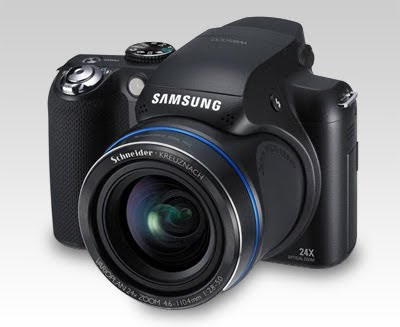 Samsung has released the WB5000 with 24x optical zoom. A variant of other recently launched superzooms, the camera offers a field of view of 26-624mm equivalent, 3.0 inch LCD and a 12.47 MP sensor. 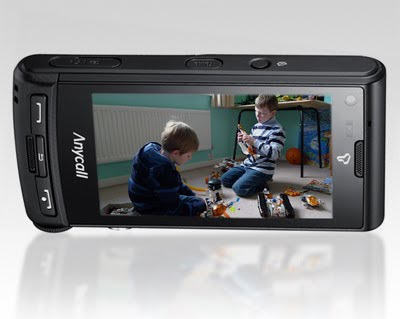 It features 720p HD video, RAW format shooting, Image Stabilization, P/A/S/M shooting modes and enhanced Face Recognition. 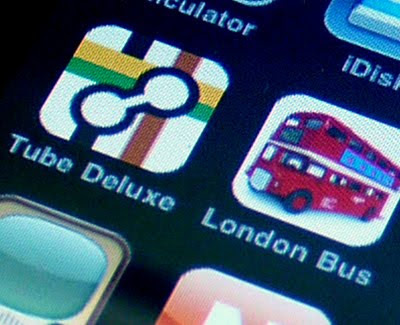 If you use the London public transport system, these two Malcolm Barclay-produced Apps are indispensable. Tube Deluxe (59p) provides regularly updated service details on all London Underground tube lines with a full map of the Underground and station finder. You can use the iPhone's 'locate' service to find the closest station. London Bus (59p) allows you to plan a journey using London Transport from just about anywhere, to just about anywhere. Type in your postcode, and the postcode you're trying to get to, and London Bus will do its best to work out a route. Oh, and if you're wondering why he doesn't merge the two Apps, click here. 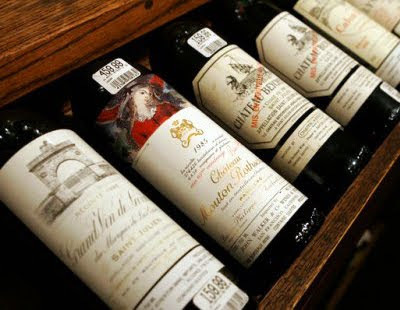 A $1 million wine book, weighing 30kg, is set to be released in the Spring of 2010. The Wine Opus will list the world’s top 100 wineries. Every purchaser of the book will also receive a six-bottle case of wine from every one of the 100 wineries listed. The book is published by Kraken Opus, which has previously launched extravagant works on fashion designer Vivienne Westwood, Indian cricket ace Sachin Tendulkar and Argentine footballer Diego Maradona. Only 100 copies of the book will be made – 25 have already been pre-ordered, with a number of copies set aside for auction. The iPhone owes its success to a clever melding of elegant design and an intuitive operating system. Unlike most mobile phones, people are able to work out the basics of how to use an iPhone simply by playing with it. The included 'Apps' (Mail, Safari, Phone, iPod, Maps...) are enough to keep most people happy for a long time. But the fast-growing (with a turnover estimated at around $2.4 billion this year) App Store is providing iPhone users with a wide range of useful (and not-so-useful) programs. Over the coming weeks I will be reviewing the ones that I have found the most useful/enjoyable. I regularly come across a web article that looks intriguing, but is too lengthy to read at that moment. 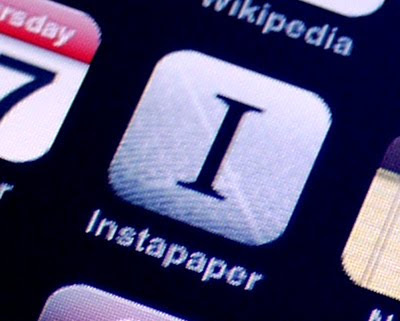 Instapaper allows you to drag it to a bookmark in your browser's toolbar, which distills a text-only version, optimised for viewing on your iPhone. This is sent to Instapaper's server, and the next time you synchronise your iPhone, it gets uploaded, ready to be viewed when you have the time. You can try it for free, by visiting Instapaper.com. And the full version is excellent value at just $5. Thanks to Conrad for introducing me to Instapaper.